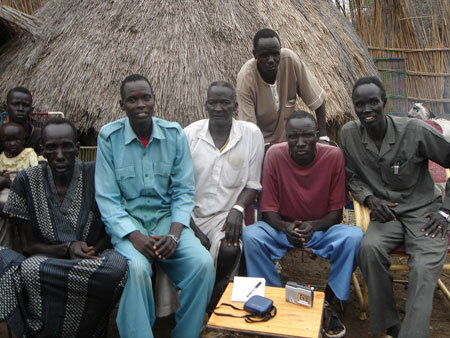 A group of Nuer men living at Bam, a neighbourhood just south of Malakal. The man in the centre in the white shirt is the local chief Omba Makwac. Morton, Chris. "Nuer chief at Bam" Southern Sudan Project (in development). 03 Jan. 2006. Pitt Rivers Museum. <http://southernsudan.prm.ox.ac.uk/details/2007.137.81/>.